Booth design, large format printing, graphic design, and everything inbetween. We do it all. There is no project too small or too large for our graphics and design professionals. 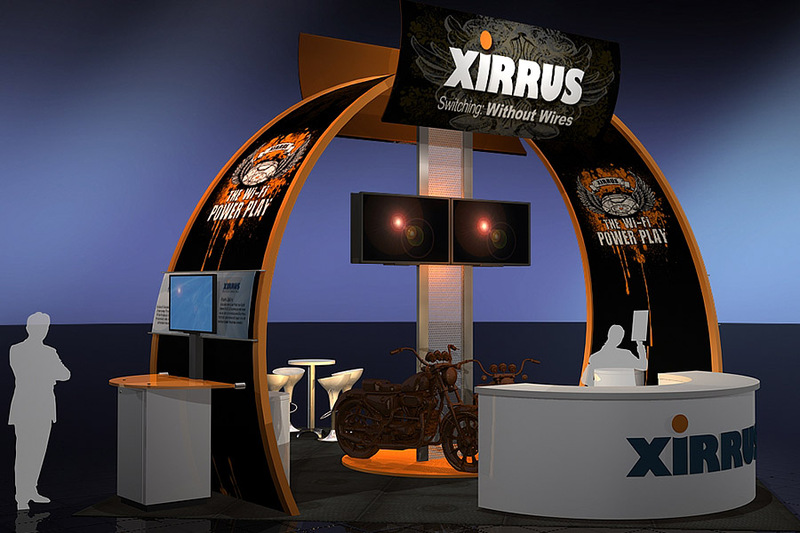 We have the ability to create stunning designs that will compliment your trade show exhibit or event needs. Before it was Blazer Exhibits and Events, it was Blazer Graphics. Blazer Exhibits & Events has its roots in graphics production, having produced graphics in the Silicon Valley since 1984. Our job is to make you look good on paper so you can make a lasting impression with your clients. We provide high-quality digital printing as well as traditional printing options. Our experienced and knowledgeable staff will help your company take your printing project to the next level. 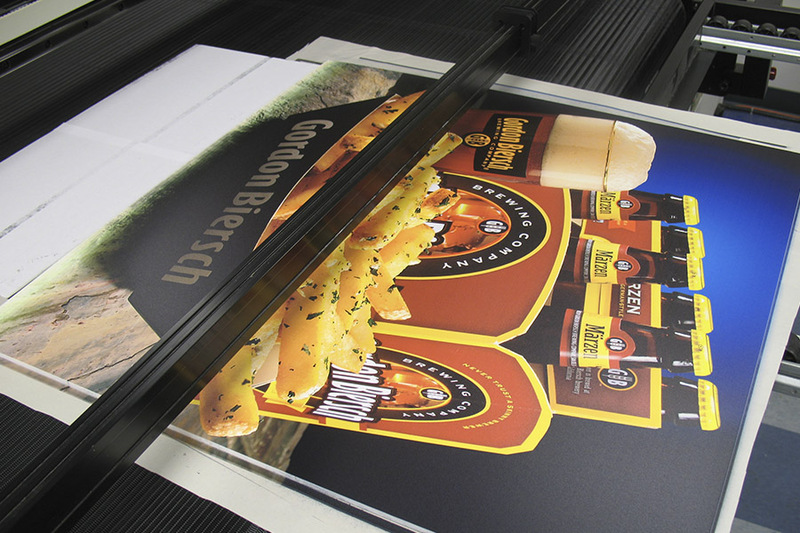 Our state of the art AGFA Anapurna direct substrate printer is capable of digitally printing on wood, metal, glass, and plastic on surfaces up to 5 ft wide by 200 ft long. 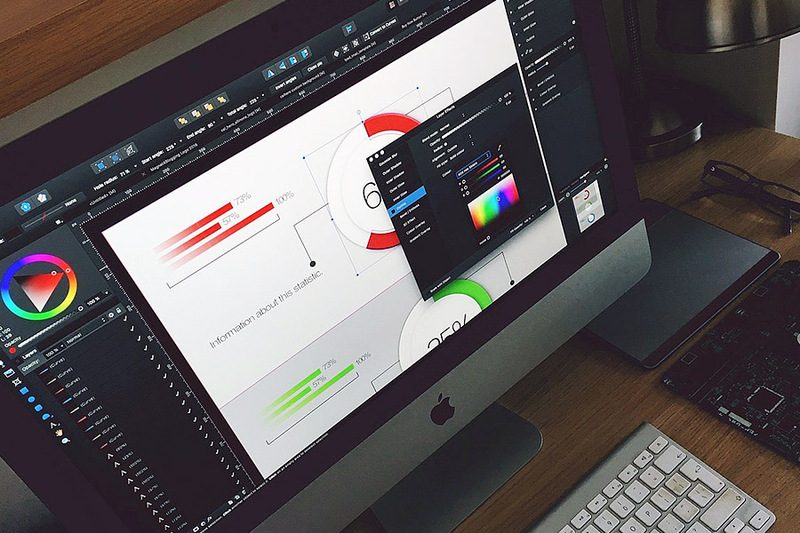 High-quality graphics are key to making a strong impact and critical to getting the attention of your audience. Permanent structures and captivating lobbies that showcase your products to visitors and business associates in a captivating and unique manner can make the difference. Creating just the right exhibit in both form and function is what we do best. 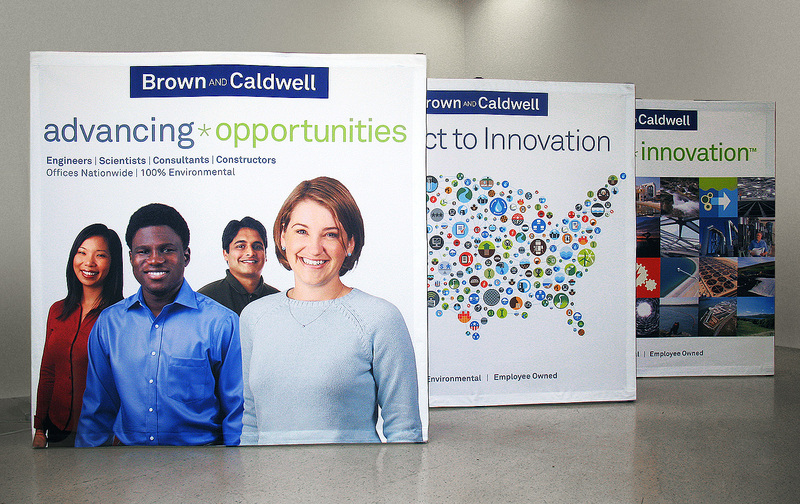 Let Blazer design an exhibit that attracts your target audience and makes your brand shine. Our tenured 3D and structural engineers have years of experience to draw from to create a display with your goals and future expansion in the forefront. 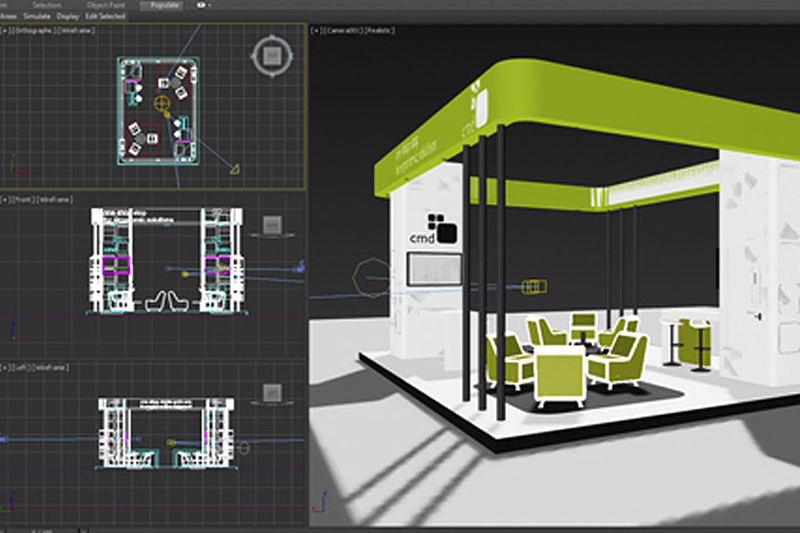 Our renderings will faithfully capture the final exhibit design you choose. From full walls to display cases and specialized retail structures of all sizes, Blazer Exhibits can make your products displays into a powerhouse for sales. Our customized solutions will work in harmony with your brand goals. Creating an environment that not only showcases your business in the best light but also connects with potential clients and nurtures business opportunities is one of the many things that we can create for you. Permanent museum installations, timelines, and showrooms can make the difference in the success of your business to business engagements. Blazer Exhibits and Events will take you to the next level.